The first Illinois Beef Expo was held February 24-28, 1988, after a progressive group of cattlemen came together in 1987 to bring multiple breed sales and a junior prospect show together. The first expo saw nine breed sales and a prospect show for heifers and steers from all over the United States. The Illinois Beef Expo has been held in the same format every year since, except 2008, when electrical problems forced the junior show to be cancelled and the sales moved to Bloomington, Illinois. Today, the Illinois Beef Expo hosts the Illinois Performance Tested Bull Sale and Angus, Hereford, Shorthorn, and Simmental sales. 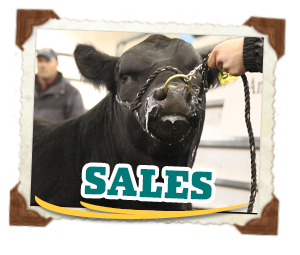 The trade show is always popular with over 75 vendors filling the basement and surrounding the Livestock Center for the duration of the event. 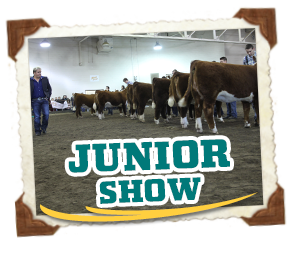 The Illinois Beef Expo junior show, closed to Illinois exhibitors since 2006, is held the Saturday afternoon and Sunday of the annual event. A popular first stop of the jackpot season for Illinois exhibitors, nearly 700 animals will be evaluated annually by the judges. A grand champion steer has been selected since the inaugural event with the selection of a grand champion heifer added in 2012 and a top 5 selection added in 2013. Whether you are an Illinois purebred breeder, out of state performance bull buyer, or new show cattle family, we invite you to attend our event and find out what the Illinois Beef Expo is all about! 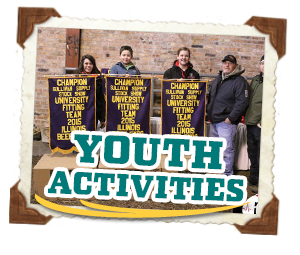 Visit the pages throughout this site to find out more information for each portion of the Illinois Beef Expo.